Enhance your web site with free RSS feeds. Adding content to your web pages is a great way to enhance your website and attrack new and repeat visitors. The RSS Feeds can be used with any compatible RSS Newsreader. If you do not have an RSS Newsreader, you can download it from here. If you already use My Yahoo!, NewsGator or MSN, click the icon to automatically add our content. 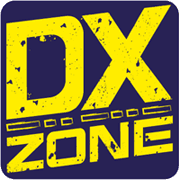 List of new links added to dxzone.com.